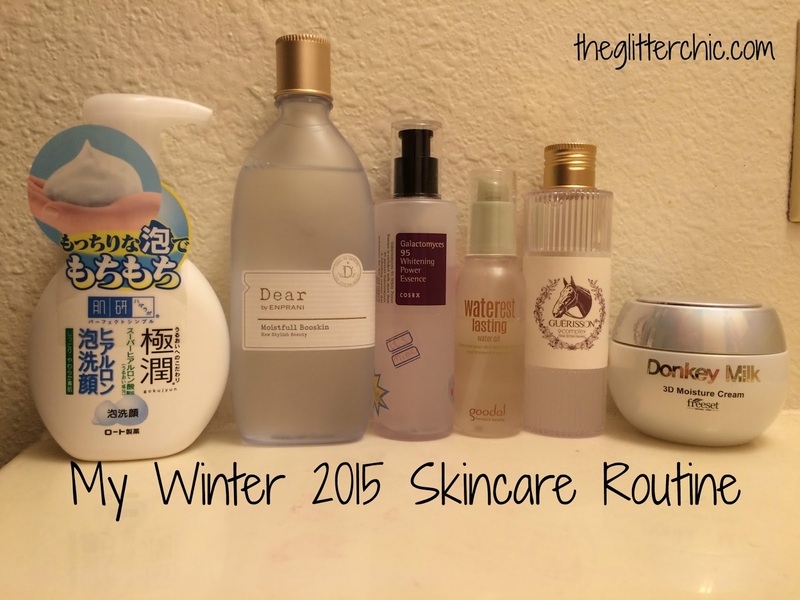 The weather has been slowly getting cooler for a couple months now, but the snow is now falling and the heater in our home is going full bore - which means my oily skin is becoming more dehydrated than ever. Today I'm going to share my morning skincare routine with you. Most of these products I've purchased on my own, others were gifts from friends, none are sponsored & and many purchase links are affiliate links which help me keep my blog (and my home) afloat. My morning routine usually contains six steps, which are shown above. Sometimes I'll swap a product out for something different in my stash depending on my skin that morning or my skins' current needs, but this is pretty average for me. This is a very gentle cleanser that doesn't strip or dry out my skin. It's instantly foaming from the pump so I don't have to mess around with a foaming net in the morning either. It has no scent, cleanses away any dirt or oils that have accumulated overnight, and rinses away easily. I purchased this initially to be used as a hydrating essence after toning and using my actives in the evening. But shortly after it arrived I found an updated ingredients list indicating that this product contained ethanol. I gave it a try because there is so much more to this than just alcohol, but unfortunately it dehydrates my skin so I use it as a hydrating toner in the morning. After cleansing I just apply some of this to a cotton pad and wipe it on my face. The small amount I use to pick up any remaining reside doesn't seem to cause any drying effects at all, and the thicker texture of this really feels nice on my skin in the morning. This is how I quickly add in moisture after cleansing and toning. Galactomyces has been an ingredient I've loved since I first happened upon it in a past Memebox. It hydrates (lightly) and makes my skin thirsty - not dehydrated, but thirsty for more hydration from other products. I'm still unsure of brightening effects from this specific product, but I do like how it meshes with my skin so this is a product I continue to use. This is another hydrating product. It's not heavy at all, but still brings a small amount of oil to my skin that battles my dehydration problem, and helps keep my excess oil production down and my pores a little easier to keep clean. This is something I've fallen in love with. There is a newer version of this in a green bottle with a little different ingredients, but I have not tried it yet. This is a cream that I'm still experimenting with a bit, but so far I'm really enjoying it. Donkey milk has been a holy grail ingredient for me, so far I have yet to hate any product I try with this as a star ingredient. Before this I was only using the Skin Ceramic Donkey Milk Yogurt All-In-One Gel Cream (Memebox USA) and it worked well as long as I used a small amount - despite it's gel consistency it wouldn't fully absorb into my skin if I used too thick of a layer. The Freeset cream is thick, stringy, and has a light scent - but it after a few minutes this dries down to a semi-matte finish and keeps my skin hydrated and my oil-production lower (like, almost normal) for the day. It's expensive though, so I still alternate with the Skin Ceramic cream since it's about half the price. I hope you enjoyed checking out my current morning Winter routine - [click here] to read about my evening routine. Oh we're skin twins! :D Nice post but I was wondering what sunscreen do you use or do you not use one at all due to the weather?